This edible product is exactly what I want to eat as a stoner… Crispy potato chips coated with caramel and covered in milk chocolate with potato chip crumbs. One of the best edible combinations I’ve ever tasted. 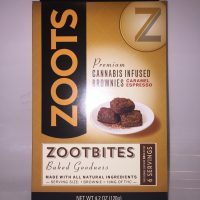 This new product comes with 10 chips per package for a total of 100mg for only $18. A must try for everyone! 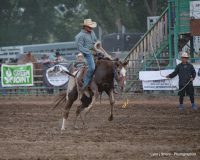 The Green Joint proudly sponsors the Grand Valley Days Rodeo! Good people, good food and excellent entertainment at this years Grand Valley Days in Parachute! The Green Joint crew had an awesome time cheering on the riders participating in the rodeo. The Green Joint was proud to be a local sponsor this year and we’re look forward to having another great time next year! The Green Joint wins the Gold medal… Again! 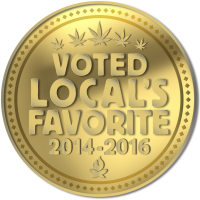 A big thanks to all of our local’s who helped us win the Gold medal in the best marijuana dispensary category this past weekend!! We are truly honored to accept the Gold Local’s Choice Award for the 3rd year in a row!! Live Resin hits The Green Joint!! That’s right, Live Resin is now available at all of The Green Joint locations!! This phenomenal product was infused by a top notch concentrate company called Craft 710. We supplied them with our locally grown flower that was flash frozen as soon as it was harvested, they performed their magic during the extraction process, and the end result is absolutely amazing!! 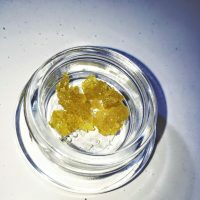 1 gram of this super terpy Live Resin goes for $65 which is a fantastic price for such a high quality item. Our current flavor is the Angel OG, a delicious Blackberry x OG Kush blend that will make your mouth water… Get it while it lasts!! Only at The Green Joint. This 4/20 swing by any Green Joint location to enjoy 4/20 in style. We want to get the 4/20 party started and keep it rolling for as long as you need. So be the hero and swing by the Green Joint to enjoy free food, specials, and prizes. Spring in Colorado can be muddy and wet, so we recommend that you head west on I-70 and enjoy all the dry desert fun western Colorado has to offer. If you live in Denver or the front range of Colorado you just got slammed by a huge spring snowstorm. When this happens, you lose all chances to get outside and enjoy the wonderful singletrack bike trails that Colorado is famous for. So this is when you put out a text to your best buddies and dust off the bike and camping equipment and head west on I-70 to either Fruita or Moab. These desert trail wonderlands will offer you warmer temperatures and dry hard-packed trails to rip up on your mountain bike. Last month, the Green Joint opened our second recreational marijuana dispensary and our fourth store total – we now have locations in Glenwood Springs, Rifle, and our newest addition in Parachute, CO. Parachute is a small town on the Western Slope of Colorado, halfway between Grand Junction and Glenwood Springs. The population of this small community is just shy of 1,100 hardworking and friendly folks. The Green Joint is proud to be the first dispensary in Parachute, and we look forward to serving the people of Parachute, Battlement Mesa, Grand Junction, and DeBeque, as well as residents of nearby towns and those traveling east or west along I-70! What a great spot on the CBS news last month! Our new location in Parachute was the first story of the night and featured the cutting of our ribbon with a ton of support from the Parachute town management and board of trustees. The members of the board were extremely excited to check out our new operation and are looking forward to seeing an influx of people traveling to Parachute. We absolutely love the local Parachute/Grand Junction community and we look forward to providing them with the best cannabis products and customer service on the Western Slope. We love our loyal customers and fans and want to make sure your phone is blazin’ The Green Joint Jingle Ringtone.